Dr. May received her B.A. degree in Political Science from BYU, and her Masters and Ph.D. degrees in international relations from the Fletcher School at Tufts University. She taught Political Science at Suffolk University in Boston, and taught adjunct Poli. Sci. classes at the University of Utah and Brigham Young University. She has completed research contracts for the U.S. Dept. of Education and served at Vice Chair for Taxpayers of Utah, the group leading the successful fight against the tax reduction initiatives in 1988. She has participated at the local level in several federal and county political campaigns. 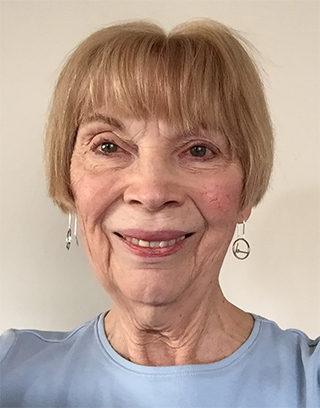 Inspired by her love of fine art, she served as educator, and then Head Curator at the BYU Museum of Art from, 1997 until her retirement in 2012.